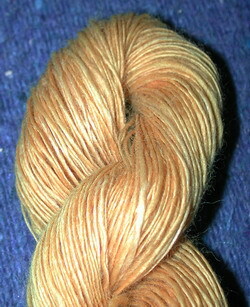 First, the Blue Face leicester was dyed in a bath of boiling onion skins, (with the expert assistance of cooking guru Auntie Ruth), then the Romney/Mohair blend (from Lindsey's sheep) was dyed in the leftover bath, resulting in a lower saturation of color. 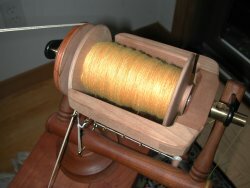 The two wools were spun, then plied together to create the subtle color blending you see above and below. 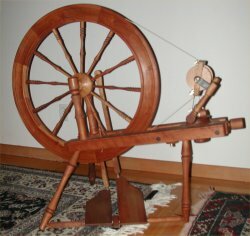 This diminutive wheel was selling for, I think, 50 Euro in the tiny town of Cortona, Italy (October 2005). 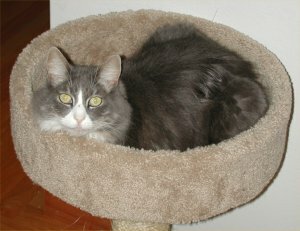 Looks like its needs a little work. 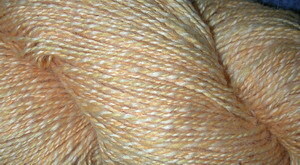 The yarn was made in Italy; purchased in Berkeley. 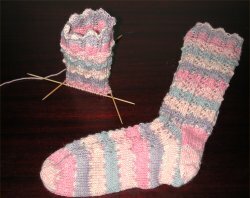 Interestingly, the yarn shops I went to in Italy don't carry sock yarn. 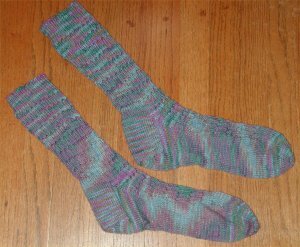 Well these, my 2nd pair of socks, (and I was SO delighted to knit with self-striping yarn) also ended up a bit off gauge - mom doesn't seem to mind. 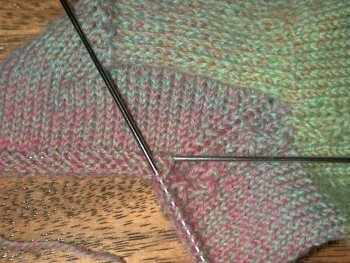 and double-pointed needles size 1. 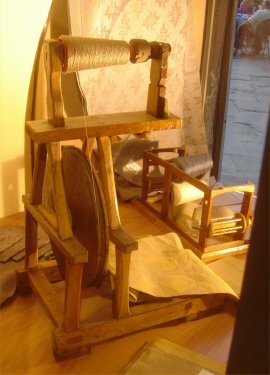 The cashmere and wool were spun separately, then plied together. 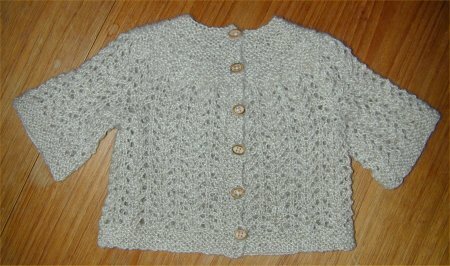 This cardigan was knit for a new baby. 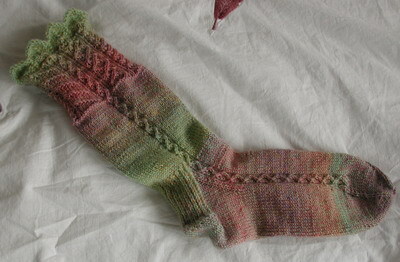 ...Yet another from "Knitting Vintage Socks"
Silk and wool combination. 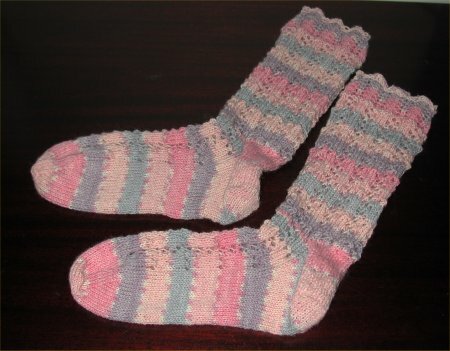 These were fun to do but unfortunately my gauge was off and they ended up a bit too big for me.. so mom got a new pair of socks! 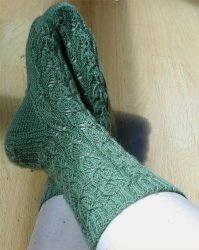 And they fit (another foot) so well! 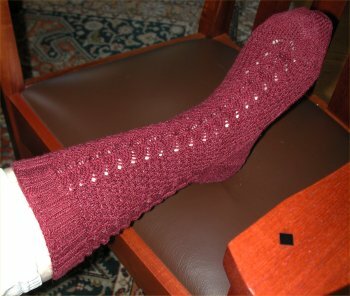 Begun around November 2002 - finished mid- 2005 - only 2 1/2 years!! 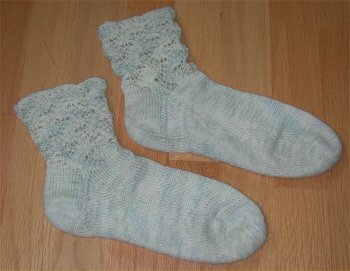 After that, socks are now a walk in the park (literally and figuratively) I call them my celadon socks.. 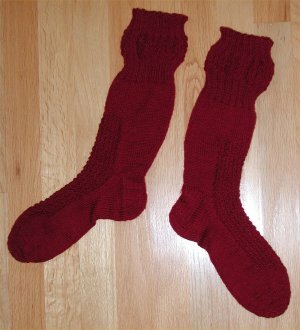 They're really more suitable for a 2 or 3 year old. 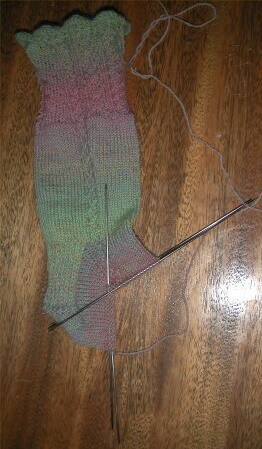 The heel took some practice to get right. 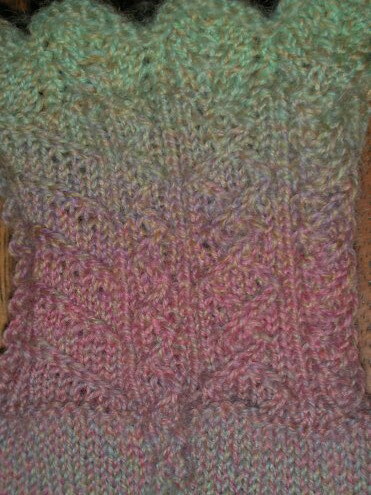 The colors in this yarn are very pretty; fortunately I have a whole bag of it! 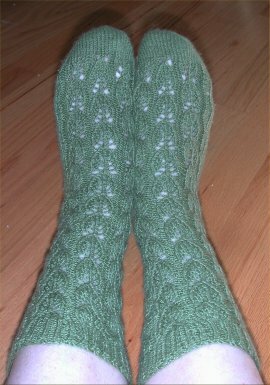 Another pair (much bigger, Estonian design) is in the works.. 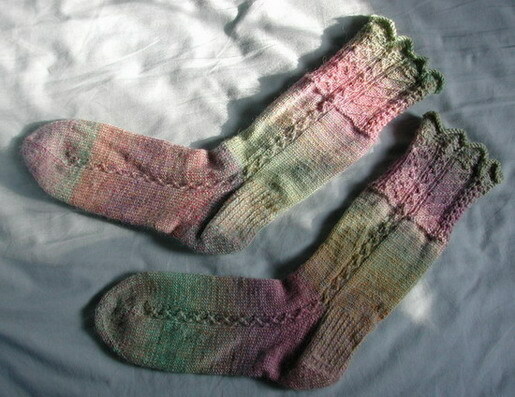 I finished these last night in spite of all the rain, or maybe because of it! 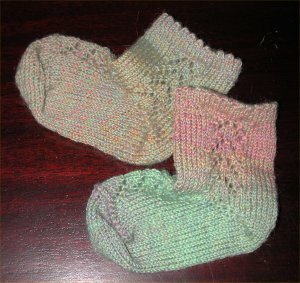 It takes me about one week per sock. 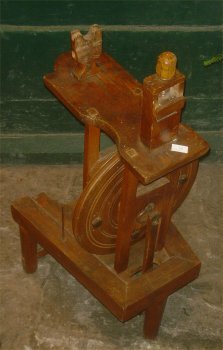 One of the original knitters! 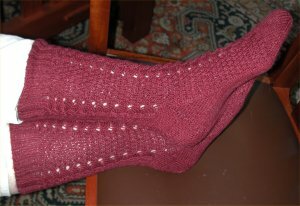 My great-great grandmother knit continental style in the German province of Bavaria. 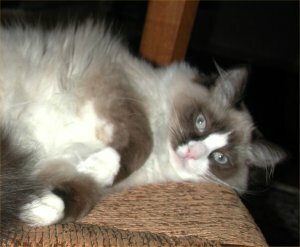 She taught my grandmother who taught me. 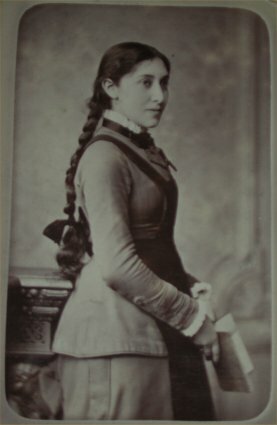 This picture was most likely taken not too long before the publication of the now classic Weldon's Practical Needlework series originating in the late 1800s. 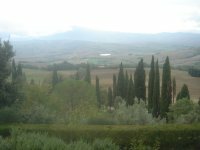 Isn't it amazing what you can do with some onions? 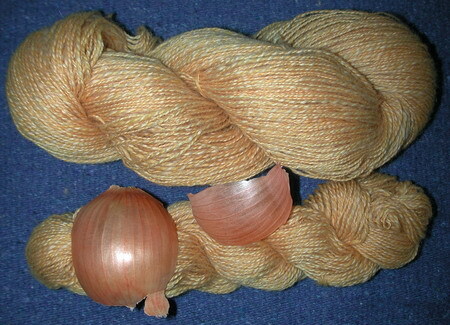 Blue Face leicester dyed in the wool using onion skins...future socks? 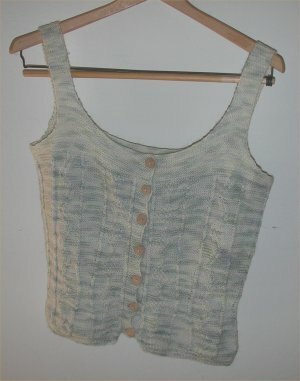 This camisole was begun sometime in the beginning of 2002, and finished sometime in 2003. 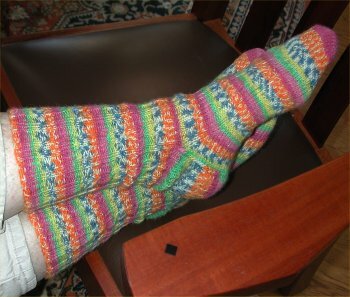 The socks at the top are made from the leftover yarn (Schaefer). 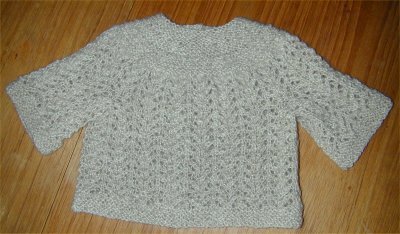 Aran knitting originates from the Aran Islands.